2019 Neuroscience Education Institute (NEI) Synapse is organized by Neuroscience Education Institute (NEI) and will be held from Apr 26 - 28, 2019 at The Omni Grove Park Inn, Asheville, North Carolina, United States of America. The target audience for this medical event is Clinicians treating patients with mental health disorders who want to use evidence-based science to improve their patient care. Accreditation: NEI has approved this live activity for 17.75 AMA PRA Category 1 Credits™. Physicians should claim only the credit commensurate with the extent of their participation in the activity The American Society for the Advancement of Pharmacotherapy (ASAP), Division 55 of the American Psychological Association, is approved by the American Psychological Association to sponsor continuing education for psychologists. ASAP maintains responsibility for this program and its content. The American Society for the Advancement of Pharmacotherapy designates this program for 17.75 CE credits for psychologists. Nurses and Physician Assistants: for all of your CE requirements for recertification, the ANCC and NCCPA will accept AMA PRA Category 1 Credits™ from organizations accredited by the ACCME. The content of this activity pertains to pharmacology and is worth 17.75 continuing education hours of pharmacotherapeutics. Additional details will be posted as soon as they are available. Basic to Advanced Echocardiography | From the Blue Ridge Mountains of Asheville is organized by Mayo Clinic Cardiovascular Medicine CME (CV CME) and will be held from May 15 - 18, 2019 at The Omni Grove Park Inn, Asheville, North Carolina, United States of America. Intended Audience: This course is intended for adult cardiologists, cardiac sonographers, cardiology fellows, surgeons, anesthesiologists, and those who have basic experience and knowledge of echocardiography. This course is designed to further advance your experience in the clinical application of echocardiography. Credit Statement: Mayo Clinic College of Medicine and Science designates this live activity for a maximum of 24.25 AMA PRA Category 1 CreditsTM. Physicians should claim only the credit commensurate with the extent of their participation in the activity. ABIM MOC Points: Successful completion of this CME activity, which includes participation in the evaluation component, enables the participant to earn up to 24.25 Medical Knowledge MOC points in the American Board of Internal Medicine's (ABIM) Maintenance of Certification (MOC) program. Participants will earn MOC points equivalent to the amount of CME credits claimed for the activity. It is the CME activity provider's responsibility to submit participant completion information to ACCME for the purpose of granting ABIM MOC credit. Overview: The course will begin with a discussion of echocardiographic assessment of left and right ventricular function, including presentations on diastolic function and strain imaging for assessing myocardial function. We will then discuss a broad range of disease states for which echocardiography is useful, including ischemic heart disease, valvular heart disease, pericardial disease, and cardiomyopathies. The presentations will include basic concepts as well as advanced techniques including 3-D imaging and strain imaging. Throughout the course many cases will be presented. Unique Features: • Faculty members are clinical sonographers and echocardiologists • Easy access to faculty members during the entire conference • Afternoon on pediatric/adult congenital echocardiography • Lab accreditation (IAC Echocardiography) • Presentations involving multimodality imaging Learning Objectives Upon the conclusion of this program, participants should be able to: • Apply Doppler principles and hemodynamics to the assessment of valvular heart disease, including systematic assessment of prosthetic valves • Use 2-D, Doppler, and strain methods to assess myocardial function • Illustrate the appropriate use of echo-Doppler in myocardial and pericardial disease • Describe the utility of echocardiography, including 3-D transesophageal echocardiography, for the interventional practice • Integrate echocardiography into the diagnosis and management of heart failure • Recognize clinical applications of stress echocardiography Time: 07:30 to 12:15 Additional details will be posted as soon as they are available. Geriatric Medicine for Primary Care: Geri/Neuro/Psych is organized by Medical Education Resources (MER) and will be held from May 17 - 19, 2019 at The Omni Grove Park Inn, Asheville, North Carolina, United States of America. This CME Conference has been approved for a maximum of 12 Credit Hours. Target Audience: This program is targeted to office-based primary care providers and other health professionals with updates in primary care medicine Learning Objectives: Upon completion of this program, participants should be better able to: • Utilize a comprehensive geriatric assessment to identify potential issues • Assess and manage urologic disorders • Describe the assessment and management of heart failure in older adults • Evaluate gait disorders and design practical approaches for the prevention of falls • Differentiate between cognitive impairment, dementias, and Alzheimer’s Disease, and formulate appropriate treatment options • Distinguish signs of weakness and other neurological disorders • Delineate the differential diagnosis and treat movement disorders • Utilize prevention and treatment strategies for cerebrovascular disorders and stroke • Accurately diagnose and treat (pharmacologic and nonpharmacologic) substance abuse and depression in older adults • Understand risk factors and assess patients at risk for suicide and violence and intervene to make timely referrals to combat hopelessness • Utilize suggested strategies to manage "the difficult patient" Learning Outcome: To provide updates in primary care medicine to office based providers Additional details will be posted as soon as they are available. 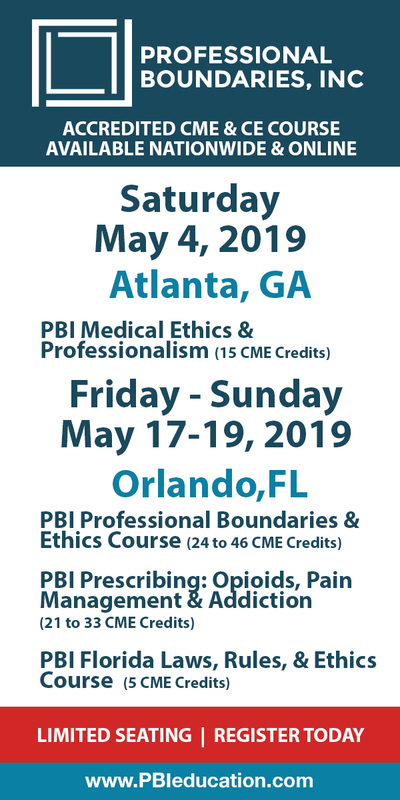 Psychopharmacology in Plain English: Essential Information for Mental Health Professionals is organized by PESI HealthCare and will be held on Jun 05, 2019 at Renaissance Asheville Hotel, Asheville, North Carolina, United States of America. Additional details will be posted as soon as they are available. Cardiology and Infectious Diseases for Primary Care is organized by MCE Conferences and will be held from Jun 07 - 09, 2019 at The Omni Grove Park Inn, Asheville, North Carolina, United States of America. Accreditation: AMA/AAFP Equivalency - American Academy of Family Physicians This live activity is been approved and is acceptable for up to 12 Prescribed credits by the American Academy of Family Physicians. AAFP Prescribed credit is accepted by the American Medical Association as equivalent to the AMA PRA category 1 credit toward the AMA Physicians Recognition Award. Physicians should only claim credit commensurate with the extent of their participation in the activity. Overview: This conference is designed to provide primary care practitioners with up-to-date, evidence-based information about medical issues commonly encountered in Cardiology and Infectious Diseases, while suggesting pragmatic approaches to clinical management. The discussion-based format of the conference will encourage audience participation through dynamic lectures, case-based studies, and hands-on workshops. Keynote speakers will present and critically assess recent advancements and industry updates in Cardiology, and Infectious Diseases for Primary Care, with the goal of enhancing the knowledge-base and core competence of attendees. The successful completion of this interactive program should improve attendees’ confidence in diagnosing, treating, and prescribing the most effective courses of treatment, with the ultimate goal of improving patient outcomes. Target Audience: All Physicians and other Healthcare Professionals seeking clinical information about Cardiology and Infectious Disease issues. Speakers: Our presenting national faculty speakers make it their professional goals to enhance the training of primary care clinicians. 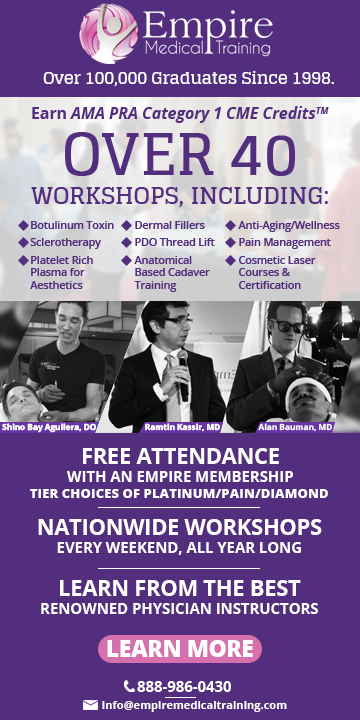 This Continuing Medical Education program promises to help you learn the most current, best medicine, and techniques for making the diagnosis easier and quicker during a 20 minute office visit. Topics and Objectives: Fever and Rash Objectives: 1) Provide a basic overview of the approach to fever and rash 2) Review associations between compromised host defenses and infectious agents that can cause fever and rash 3) Highlight several fever and rash emergencies in a case-based format Clostridium Difficile Objectives: 1) Review epidemiology, clinical presentation and diagnosis of Clostridium difficile infections 2) Provide updated treatment strategies for treatment of C. difficile infections Atrial Fibrillation and the New Anticoagulant Objectives: 1) To review the indications for Anticoagulation for patients with atrial fibrillation 2) To understand the use of the new novel anticoagulants and their bleeding risk 3) To outline a rational approach to the treatment of atrial fibrillation Resistant Hypertension Objectives: 1) To review the definition of resistant hypertension 2) To outline the common causes of secondary hypertension 3) To suggest a reasonable evaluation of patients with resistant hypertension Update on PCSK9 Inhibitors for Hyperlipidemia Objectives: Review PCSK9 therapy as a new medication for hyperlipidemia, understand the role of risk in determining hyperlipidemia therapy, outline management algorithms determining when to use combination therapy for hyperlipidemia An Approach to the Treatment of Essential Hypertension Objectives: 1) To understand the underlying pathophysiology or essential hypertension 2) To outline a reasonable treatment approach to essential hypertension based on pathophysiologic principles 3) To appreciate the role of the renin-angiotensin and aldosterone system in control of blood pressure Primary Care-associated Infectious Diseases: Part 1 Objectives: 1) Review the approach to primarily outpatient-based primary care infections in a case-based format Primary Care-associated Infectious Diseases: Part 2 Objectives: 1) Review the approach to primarily outpatient-based primary care infections in a case-based format Infective Endocarditis Objectives: 1) Discuss current epidemiology and microbiology of infective endocarditis 2) Present information regarding diagnostic approaches to infective endocarditis 3) Provide an update on recommendations regarding treatment and prophylaxis for infective endocarditis Mimics of Infectious Diseases Objectives: 1) Review several case-based presentations which MAY or MAY NOT be due to an infectious disease An Approach to the Management of Heart Failure Objectives: 1) To review guideline directed medical therapy for patients with heart failure 2) To outline a practical approach to the optimal use of RAS blockers and beta blockers in heart failure 3) To understand the role of BNP as a guide to optimal heart failure therapy Secondary Prevention of Coronary Artery Disease Objectives: 1) To understand the recommended therapies shown to reduce cardiovascular risk in patients with clinical coronary heart disease 2) To review the role of antiplatelet medications in patients with coronary heart disease 3) To propose a treatment management plan for patients with coronary heart disease to maximize risk reduction Note: Content is subject to change without notice. Please refer to the activity website for the most current information. Duke Radiology in the Blue Ridge Mountains is organized by Duke Radiology and will be held from Oct 19 - 22, 2019 at Asheville, North Carolina, United States of America. Additional details will be posted as soon as they are available. Dermatology for Primary Care is organized by Medical Education Resources (MER) and will be held from Dec 13 - 15, 2019 at The Omni Grove Park Inn, Asheville, North Carolina, United States of America. This CME Conference has been approved for a maximum of 12 AMA PRA Category 1 Credits. Target Audience: This program is targeted to office-based primary care providers and other health professionals with updates in primary care medicine Learning Objectives: Upon completion of this program, participants should be better able to: • Discriminate the diagnostic principles and treatment options for dermatitis, papulosquamous diseases, as well as viral, fungal and bacterial infections • Describe the step-wise approach for the diagnosis and treatment of acne and acneiform eruptions • Identify cutaneous findings that serve as surrogates of internal diseases • Differentiate benign and malignant skin tumors and employ appropriate interoffice procedures • Counsel patients on appropriate sun protection measures Learning Outcome: To provide updates in primary care medicine to office based providers Additional details will be posted as soon as they are available. Critical Care: The Team Approach is organized by Northwest Seminars and will be held from Mar 30 - Apr 02, 2020 at The Omni Grove Park Inn, Asheville, North Carolina, United States of America. Target Audience : This course is designed for physicians, physician assistants, nurse practitioners, registered nurses, and all other medical care providers who must maintain state-of-the-art knowledge of the specialty or are impacted by it. Accreditation: The A. Webb Roberts Center for Continuing Medical Education of Baylor Scott & White Health designates this live activity for a maximum of 20 AMA PRA Category 1 Credit(s)™. Physicians should claim only the credit commensurate with the extent of their participation in the activity. Physician Assistants: The American Academy of Physician Assistants (AAPA) accepts certificates of participation for educational activities certified for AMA PRA Category 1 Credit™ from organizations accredited by ACCME or a recognized state medical society. Physician assistants may receive a maximum of 20 hours of Category I credit for completing this program. Registered Nurses: NWS is an approved provider for the following state nursing boards: Arkansas State Board of Nursing (Provider Number 50-7480), California Board of Registered Nursing (Provider Number 4833), District of Columbia Board of Nursing (Provider Number 50-7480), Florida Board of Nursing (Provider Number 50-7480), Georgia Board of Nursing (Provider Number 50-7480), and the South Carolina Board of Nursing (Provider Number 50-7480). This program offers 20 contact hours. Course Description : The practitioner of emergency medicine must possess evidence-based scientific background for competent clinical practice; maintain state-of-the-art knowledge of the specialty and all additional related disciplines; maintain an up-to-the-minute armamentarium of knowledge and skills for the selection and use of complex equipment, pharmacological agents, and procedures; manage self and colleagues to function toward common goals in providing consistent care in all settings in which emergency care is provided; serve as an expert in matters involving quality, safe and equitable health care delivery and support of other service providers, departments, institutions, and organizations dependent upon professional expertise. Presentations are designed to facilitate the acquisition of cognitive and technical skills as defined through evidenced based data translated to best practice standards by the pertinent governmental and professional organizations including the American College of Emergency Physicians, American College of Surgeons and the Emergency Nurses Association and abilities in one or more of the disciplines vital to the practicing professional. Course Objectives : At the conclusion of this activity, the participant will be able to: • Apply the pertinent physical and behavioral sciences as they impact and are affected by the planning, delivery, and monitoring of services inherent in the professions • Explain the selection, dosing considerations with methods of administration, safe use, contraindications and precautions of drugs based on their chemical and pharmacologic properties • Outline comprehensive patient management plans for the special patient population discussed • Apply the principles of safety and asepsis in the performance of all aspects of patient care regardless of the clinical environment in which the practice resides • Incorporate the published tenets of pertinent, recognized external organizations, institutions, and professional groups defining medical, legal, philosophical, ethical, and health care management standards. Additional details will be posted as soon as they are available. Academy of Prosthodontics (AP) 102nd Annual Meeting is organized by Academy of Prosthodontics (AP) and would be held during Apr 08 - 11, 2020 at The Omni Grove Park Inn, Asheville, North Carolina, United States of America. Additional details will be posted as soon as they are available. The Georgia Pharmacy Convention is organized by Georgia Pharmacy Association (GPhA) and will be held from Jun 17 - 21, 2020 at The Omni Grove Park Inn, Asheville, North Carolina, United States of America. Additional details will be posted as soon as they are available.